Meet DelightFULL’s Cole Floor Lamp and be amazed! Nat King Cole was a famous and renowned pianist during the mid-century United States. Part of the cultural landscape of the 50’s, this famous pianist helped shaped sonically the music industry, alongside his peers. Here is DelightFULL’s homage to this artist, meet Cole floor lamp! Inspired by the great Nat King Cole, DelightFULL’s designers sought after a lighting piece that could reflect Cole’s greatness and impact in the music industry. 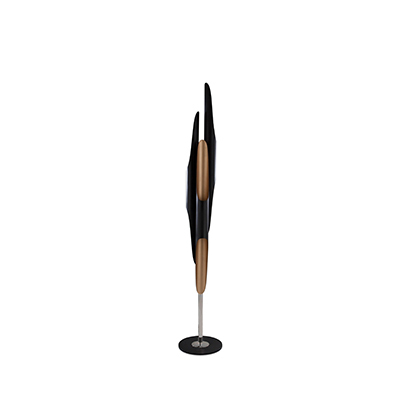 This is DelightFULL’s Cole floor lamp and you should definitely check out! Cole floor lamp is a retro-inspired mid-century floor lamp. Inspired by the great Nat King Cole, this three-shade lighting piece features a contemporary vibe that works wonders with almost any modern interior design décor. 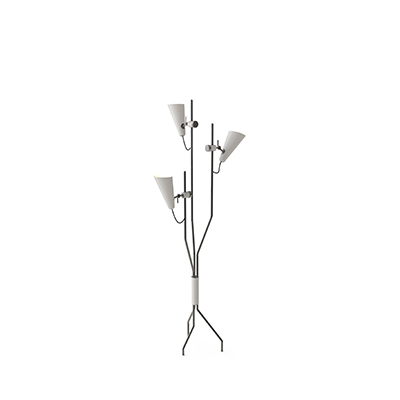 All of the three lamp shades are rotatable, making it a more versatile piece. Featuring an all-brass body and all-aluminum shades, Cole has all of the characteristics of a mid-century contemporary piece, with all the customization and versatility in the world. All of these characteristics make Cole a floor lamp that just blends with every interior design style. This mid-century modern floor lamp belongs in any Industrial or Scandinavian home.